A major work from a seminal figure in the field of conflict resolution, Building Peace is John Paul Lederach's definitive statement on peacebuilding. Marrying wisdom, insight, and passion, Lederach explains why we need to move beyond "traditional" diplomacy, which often emphasizes top-level leaders and short-term objectives, toward a holistic approach that stresses the multiplicity of peacemakers, long-term perspectives, and the need to create an infrastructure that empowers resources within a society and maximizes contributions from outside. Sophisticated yet pragmatic, the volume explores the dynamics of contemporary conflict and presents an integrated framework for peacebuilding in which structure, process, resources, training, and evaluation are coordinated in an attempt to transform the conflict and effect reconciliation. 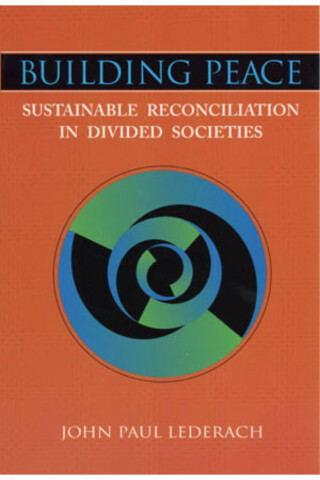 Building Peace is a substantive reworking and expansion of a work developed for the United Nations University in 1994. In addition, this volume includes a chapter by practitioner John Prendergast that applies Lederach's conceptual framework to ongoing conflicts in the Horn of Africa.